First the really good news – Lenovo (or more specifically their fulfilment partner Digital River) managed to take an order from me and ship (on time) without some major disaster happening (as I’ve suffered before, repeatedly). They seem to have entirely given up on supplying order tracking information, which is little change in practice to the past system of providing bad order tracking references. At least this time the system worked as it’s supposed to. My daughter wants a laptop for her upcoming birthday, and when she discovered that there were such things as pink laptops specific colour requirements emerged. I’d have been happy to forgo pink for performance if I’d have been able to get another fast/small/cheap machine like my son’s Lenovo x121e, but I was only recently moaning that such machines pretty much don’t exist. As it became obvious that I’d have to sacrfice some performance to get a small machine (11.6″ screen) at a decent price (~£250) my search narrowed to the HP DM1 and Lenovo S206, which both sport AMD E Series APUs. Since the S206 was available in Pink, and was cheaper I was leaning that way, though I was a little concerned about the performance of the E1200 processor. The deal was sealed by a special offer I stumbled across on the Lenovo web site for the E1800 version with 500GB hard drive at under £250. The PINKMADNESS voucher code that I used seems to have been a short and limited offer to clear down inventory of machines with Windows 7 (32bit). I was at an event a little while ago where somebody said ‘if you’re not using an SSD in your PC then you’re literally waiting your life away’, and I’ve since switched all of the regularly used household machines over. It took a sacrifice from my dismembered media playing netbook to free up an SSD, but I expect it will get more use this way. I booted up the installed hard disk for long enough to redeem the £14.99 Windows 8 Pro upgrade offer that’s still on until 31 Jan, then it was time to swap over. Getting inside the S206 isn’t straightforward – there’s no access hatch like on the X121e. Thankfully Lenovo are open with their hardware maintenance manuals, and with the S206 guide on screen I had good guidance. Getting at the battery, RAM and hard disk involves removing the bottom. Firstly there are a couple of screws under rubber feet, and then the plastic casing needs to be gently eased away from the body of the machine (with a plastic opening tool). Once I got everything up and running on a fresh Windows 7 x64 install performance was disappointing. Windows Experience Index was reporting 5.6 for disk (no better than the original disk) and SiSoftware Sandra benchmarked a meagre 135MB/s. I checked that the BIOS was set to ACHI (it was), and then upgraded the AMD chipset drivers (having originally used the ones that came on the supplied hard disk). New drivers fixed it, and WEI went up to 7.6 with Sandra clocking 265MB/s. The chicklet keyboard and screen are pretty much the same as the X121e, which means that this is a nice machine for the money. There’s just a trackpad, as it’s only ThinkPads that get trackpoints. After using the trackpad on my Chromebook for the past few weeks it was a struggle switching to different gestures, but once I adjusted it’s a decent enough way of getting around. Subjective speed was initially hampered by the poor I/O performance noted above, but now that’s fixed it feels quick in use. The CPU is the weakest part of the performance story (with a WEI of 3.9), but with the SSD on board and an OK graphics subsytem it will be quick in everyday use (and it’s unlikely to be used for CPU bashing video transcoding). I expect my daughter will be delighted with this machine, and won’t care very much about a weak CPU. With the SSD on board it should perform well for the applications she’s likely to run on it (browsing, homework, and maybe some casual gaming). We are contacting you in relation to your recently placed order on the Lenovo Online Store. 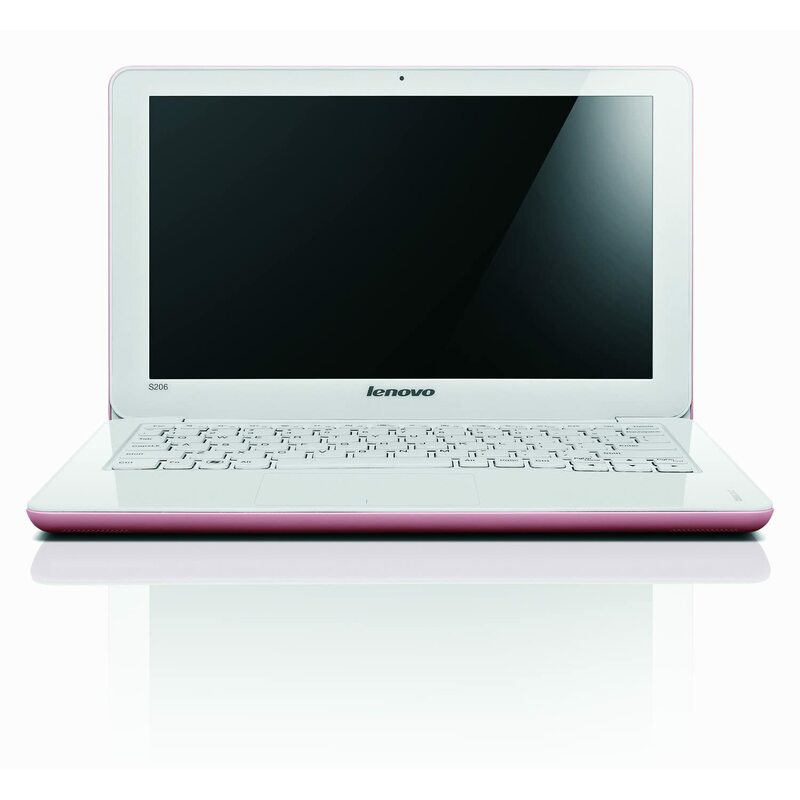 Unfortunately, the build of the following product you ordered is delayed in manufacturing product name (IdeaPad S206). Although we do not have an estimated ship date, we hope to be able to confirm a ship date in the coming days. As soon as we have an estimated ship date, you will be notified via email. The email was dated the day that it arrived, so the machine must have been sent before the email. Clearly Digital River still can’t find their bum with both hands, and I’ll count it as a happy coincidence that the laptop actually shipped within the advertised time. Who knows, I may even be sent another, or get a refund when they tell me that the build is further delayed. I’m also wondering who ‘Ryan’ is and how that name found its way into the greeting. I guess it’s all part of the Digital River bluehornet.com ‘individualized email experience’. Update 1 (28 Jan 2013) I just got an email from Digital River saying that my order had shipped – the same order that I received 4 days ago. True to past form the tracking link in the email and on the order status site doesn’t work.